In the HOA management industry, there’s a lot of conversation about keeping the house warm in the winter, but the topic of slipping hazards is rarely mentioned, despite its importance. We’ve heard this season is going to be another snowy/icy one, so we’re thinking about ways to stay safe this season. The ice, snow, and slush that often accompany the winter season make for a very slippery time of year. Often, slipping and falling results in nothing more than a scraped pride, but falling in a bad way or in an unfortunate spot can lead to serious injury. 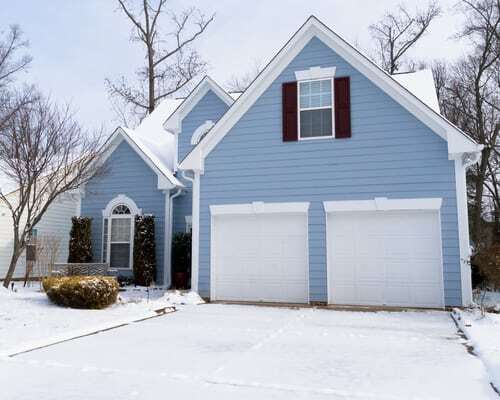 Below are some helpful tips for staying on your feet around your home this winter. Sometimes an outside doormat gets soggy in the outdoor conditions, and doesn’t effectively dry you or your guests shoes. Besides dragging in a mess, wet shoes are a slipping hazard on a hard surface, particularly if it was recently waxed. Wet shoes will also create puddles by your door. Greet the inside of your house with a doormat beneath your feet. Don’t let things lie around outside. Although being messy is never recommended, it’s particularly discouraged in the wintertime. Snow or slush could cover anything laying around in the yard, posing an unsuspected tripping hazard. Under enough snow, even your seemingly harmless garden gnome could pose a major threat. If several steps precede your door, handrails are highly recommended for the winter. Stairs are not only an easy place to slip, but also a dangerous one, as it could lead to tumbling to the bottom or falling from a great height. This simple measure could save you or your guests a major injury, and as always, better safe than sorry. Keeping your walk and driveways salted and clear of snow and ice is a pain, but is perhaps the most significant effort in preventing a slipping hazard. Build stairs on steep hills. Walking or running downhill is never safe due to the risk of tumbling to the bottom, but it’s especially risky in the ice and snow. Building stairs (preferably accompanied by a handrail) on steep hills is highly recommended for both your safety and comfort.